JOHANNESBURG, June 20 (Reuters) – South African mobile phone operator MTN Group named Vodafone European cluster head Rob Shuter as its new chief executive on Monday, ending a near eight-month hunt for a boss. Shuter, who will start no later than July 2017, replaces Sifiso Dabengwa, who resigned last November after a $5.2 billion fine in Nigeria exposed corporate governance flaws at Africa’s biggest mobile phone operator. Shares in MTN rose 3.8 percent to 150.19 rand in early trade, outpacing an 1.7 percent gain the blue-chip JSE Top-40 index. Shuter, an accountant with experience in managing risk, inherits a company in the middle of overhauling its its corporate governance standards and in search of new revenue streams as tough competition hit profit margins in its key markets. “MTN is confident that Rob will bring experience and new insights to the CEO role having had many years in the telecoms sector both in Africa and Europe,” MTN said in a statement. Phuthuma Nhleko, who temporarily took over as an executive chairman following Dabengwa’s resignation, will revert to his role as non-executive chairman as soon as Shuter starts his new role. 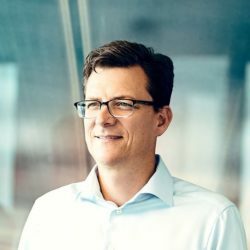 Shuter has been CEO of Vodafone Netherlands since April 2012 and in October 2015 his role was expanded to include the other European countries excluding the four large European markets – UK, Italy, Spain and Germany.